Artists and musicians perform to bring a classic novel to the stage, broaden spectators’ artistic horizons, celebrate those who defend our country, and benefit the arts in this week’s calendar. 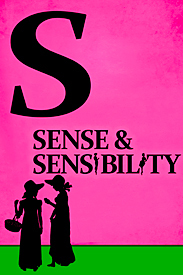 The Reduxion Theatre Company presents an adaptation of Jane Austen’s first published novel “Sense and Sensibility.” Written by Oklahoma playwright Erin Woods, she attempts to bring Austen’s world to the modern day by setting it in the Eastern United States. Woods says her aim in this is “to highlight the universal nature of Austen’s novels” by keeping true to Austen’s characters and story “while re-imagining them in the U.S. and in contemporary clothing.” Performances also feature live music on stage. The show runs from May 10th through the 26th at Reduxion’s Broadway Theatre. All types and genres of performance, music, and art come together for “Mixology: A Live Performance Sampler.” It attempts “to expose audiences to innovative, emerging art forms in a fun and flexible environment.” Patrons and performers move through the gallery during the evening. Some acts include Perpetual Motion Dance, music and dance group Grupo AfroCaribeño, comedy troupe OKC Improv, theatre group The Drama Dept, and spoken word poet Lauren Zuniga. “Mixology” begins at 7:00 p.m. on May 12th at City Arts Center in Oklahoma City. The Sooner Theatre in Norman in partnership with Norman Groovefest hosts “The Aquarian Expostition” on May 11th. Musical performances in combination with music and video from Woodstock in 1969 celebrate all veterans during this welcome home and benefit concert. Several local musicians take the stage including Dr. Victor Rook, Armando Rivera, Slick Harvey, Brittany Roe, and Steve Coleman. Proceeds benefit veterans’ resources such as Oklahoma Veteran's Center's Creative Therapies Program, Veteran's Corner in Goldsby, and Norman Veterans Center. Festivities begin at 8:00 p.m. This Saturday, Lyric Theatre Oklahoma holds a benefit concert at the Plaza Theatre in Oklahoma City. Oklahoma City band The Wise Guys perform at 7:30 p.m. Originally a four-part harmony vocal group when they began in the late 1970s, The Wise Guys are now a full band with a specialty in performing rock and roll hits from the 1960s and 70s sampling a variety of artists such as The Beach Boys to Bruce Springsteen. The concert benefits Lyric Theatre and Lyric’s Thelma Gaylord Academy. Mother’s Day is on Sunday, May 13th, and in honor of all mothers, the Myriad Gardens and Crystal Bridge Tropical Conservatory offers complimentary admission to moms all day.